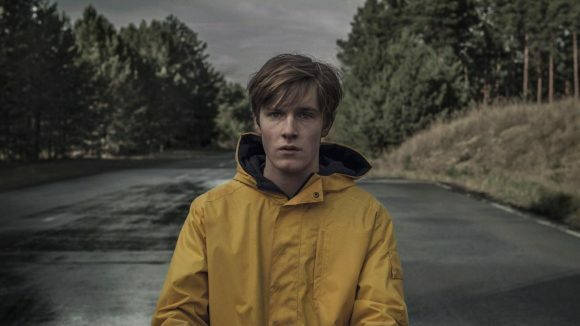 ➢ “At first glance, Dark, Netflix’s first original German-language series, might seem familiar to fans of the streaming service’s other recent hits. The show centres on a small town plagued by strange goings-on at a nearby power facility … But its creators are quick to point out that Dark isn’t a blend of Netflix’s Stranger Things and The OA. For one, the show’s episodes were written before those programmes were released and lean more toward science fiction than horror. They also point out that its understated sensibility makes it a uniquely German contribution to the rapidly expanding world of premium television.” — New York Times. ➢ “Wrestling with themes of time, family, grief, guilt, and the metaphysical, Dark hits all of the finer points that helped propel series like The OA and Stranger Things to atmospheric success in a surprise string of 2016 hits. While not merely a rehash, there are enough elements from these past successes in Dark to make audiences think that it’s been finally calibrated to their sensibilities. Handsomely made and appropriately tense, Dark isn’t so much a puzzle show as a storytelling algorithm, ready to be recommended for viewers like you.” — IndieWire. ➢ “The overall density of Dark and the large ensemble cast will no doubt throw some casual TV fans, and there’s strong possibility that folks will drop off after an episode or two … But those Netflix subscribers who are willing to let Dark unravel organically and invest their time in the show will likely be kept interested through the show’s overall tension and elements of horror. Each episode contains moments that are truly terrifying, much more so than anything we’ve seen in Stranger Things.” — CinemaBlend. ➢ “Once you get beyond the initial shock of the Stranger Things similarities, you’ll find Dark is a much more sombre, more expressionistic show. While it does deal with events in the 1980s, it’s not tinged with nostalgia. Nor is there a sense of Spielbergian adventure at play. Instead, Dark is comprised of ticking clocks, shadowy rooms and long, cold stares. It gets under your skin almost immediately, bringing a chill with it.” — SlashFilm. ➢ “The concept of time is another interesting premise that Dark explores. The writers focus on time as being circular … For fans of shows like DC’s Legends of Tomorrow and Doctor Who — Dark will scratch all of those itches as well … Dark is a delightful bit of supernatural fun that’s worth the ten hours it will take to finish.” — IGN. The English dub is awful! Cringeworthy and definitely detracts from a great show. Of special interest is some markets have the audio in Dolby Digital Plus with Atmos and it sounds amazing. PS: Atmos is only available with 4k streaming.